Here at BikeBound, we have a soft spot for father/son workshops and builds. 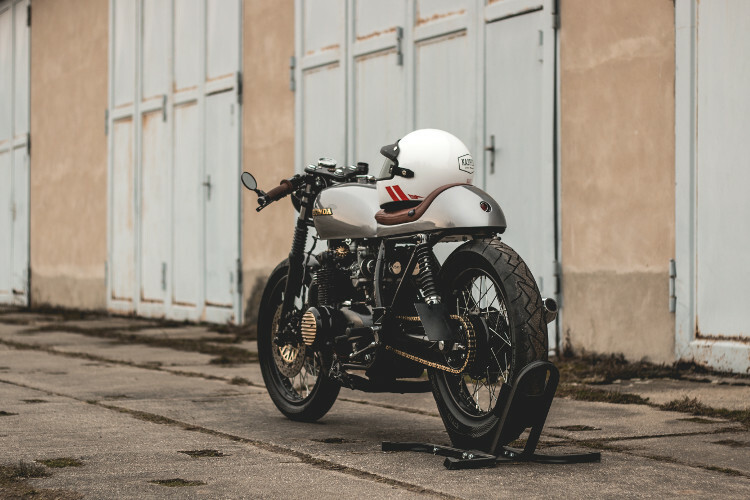 Kaspeed Custom Motorcycles of Germany is one of the very best. 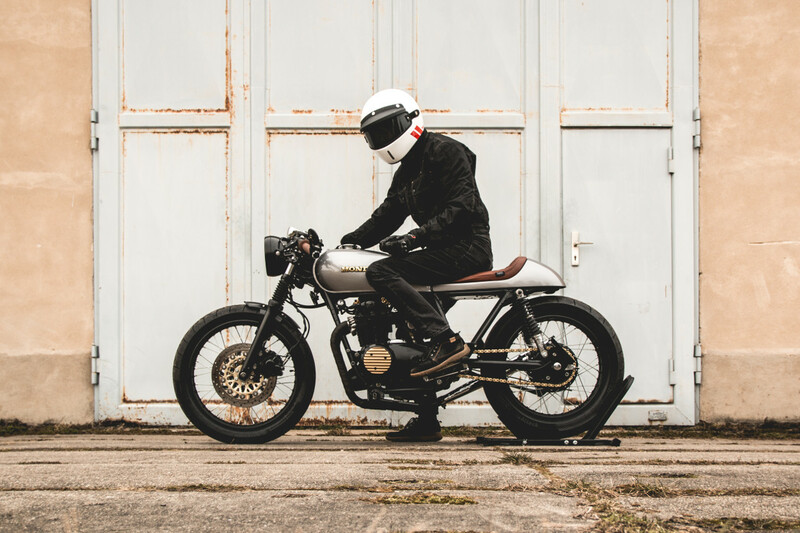 The crew consists of twin brothers Jimmy and Mick — both of whom have technical jobs in the automotive industry — and their father, Karsten, who’s been building bikes since the 1970s. 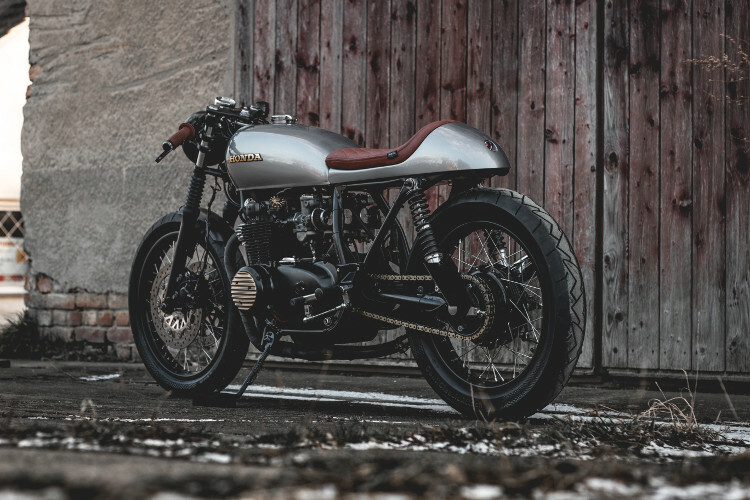 Today, we’re thrilled to present their most extensive build to date, this Honda CB500 cafe racer. 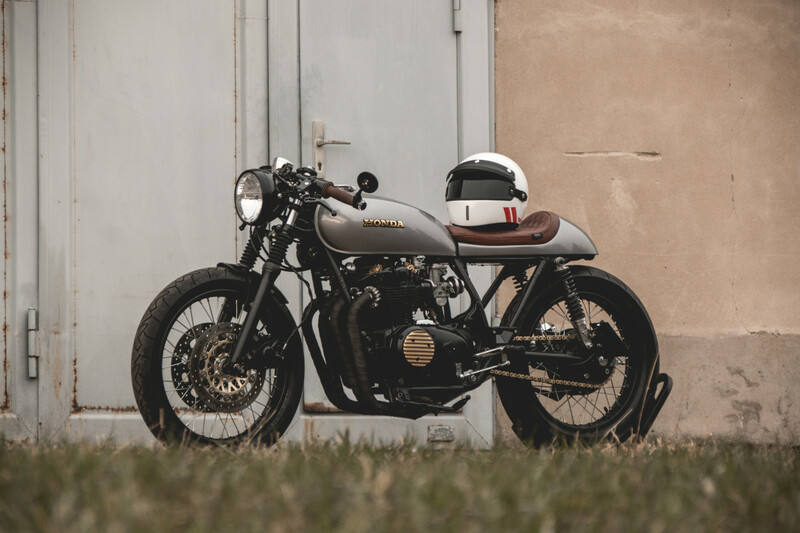 The owner lives in Switzerland, where no frame modifications are allowed, but the Kaspeed Moto crew still managed to create one of the cleanest and most functional CB cafe racers we’ve seen in recent years. 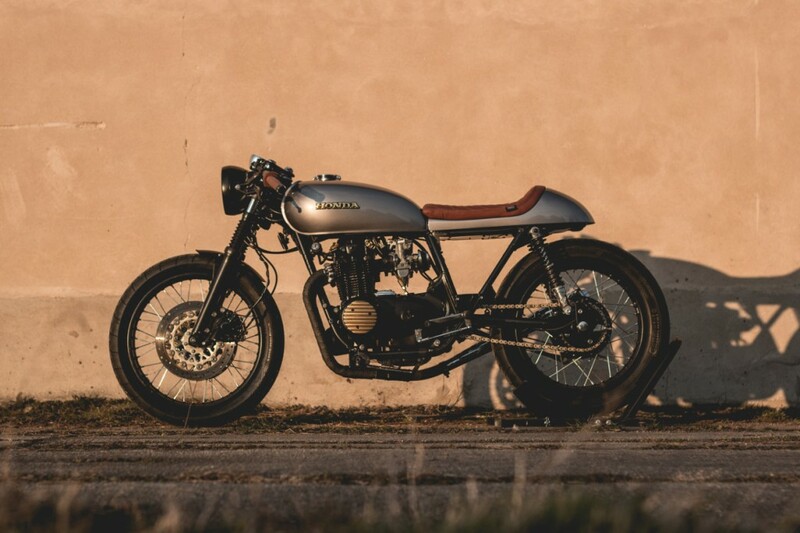 Below, we get the full story on this Honda cafe racer, which blends classic style and updated brakes and performance. We knew that this project would be a challenge for us, when we received the bike almost completely disassembled. Our customer, who works in the Swiss banking sector, but was born in Germany, acquired the bike some time ago, besides never riding it himself before the customization. Not even a fuel tap or a chain came with it. But on the other hand, the bike was mechanically fine after we put it back together in order to start working on it. 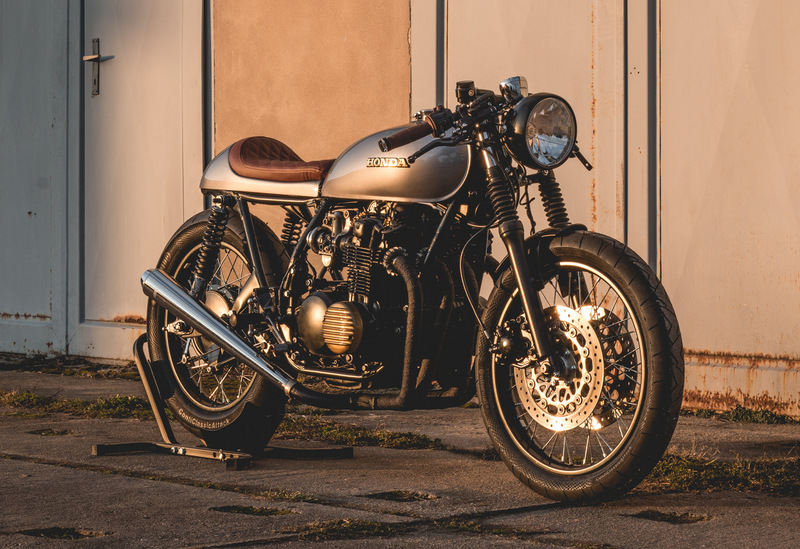 We envisioned the CB500 to be a classic racer with all traditional cafe racer style elements such as a low and slightly forward stance, distinct straight lines, clip-ons and a classic seat cowl. Upgraded brakes for a better bite and functional tires for better road use were planned as well. The concept phase and the whole planning was a real pleasure with our laid-back client. 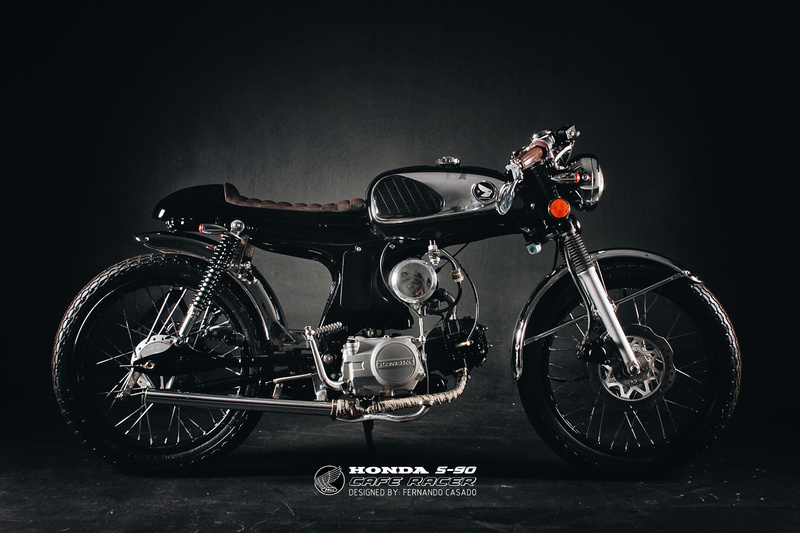 My brother did a rendering for the Honda, like we always do for each bike. It’s a great and very useful tool in the workshop, too. 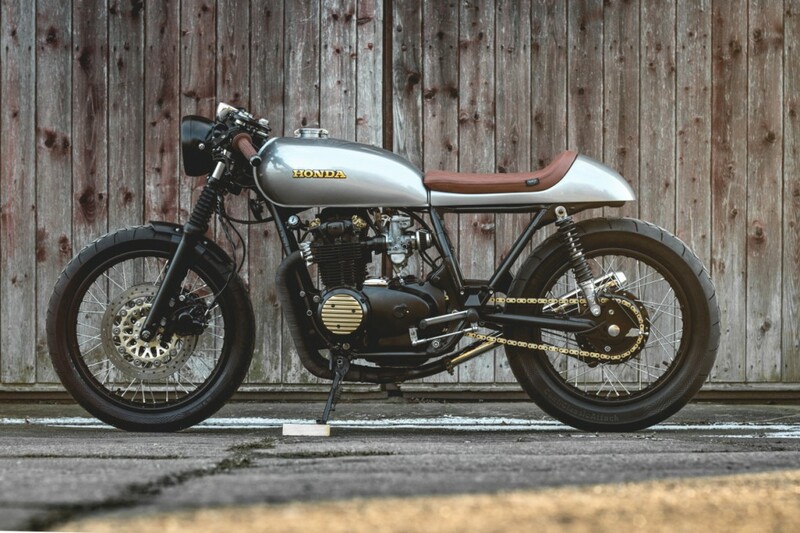 We like our builds to look like they could have come from a factory rather than a shed workshop. We decided to keep the 4-into-1 exhaust and the backwards relocation of the footrest system was also a good idea, bearing in mind the low and forward riding position we were aiming for. Moreover, we changed a lot on the bike. I could make an endless list of modifications. First of all, the ancient front brake had to go for a newer double disc brake setup from a CB400N with more modern discs installed. This also includes different forks, triple trees and the installation of fork boots giving more optical weight to the front end. 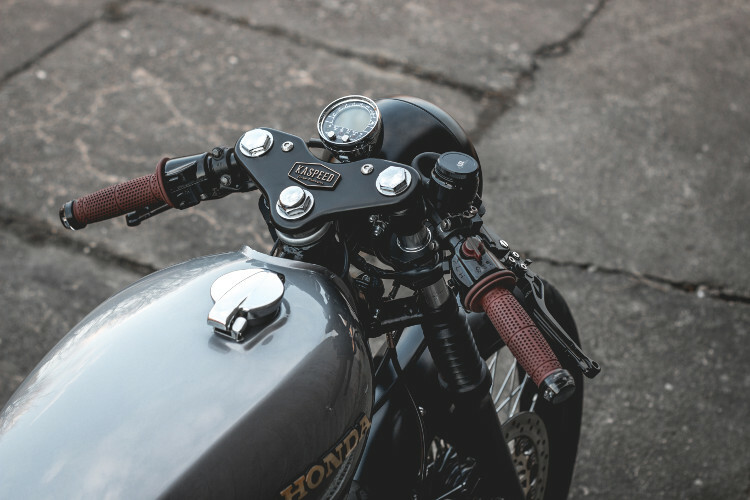 Together with Fehling clip-ons, refurbished handlebar switches, new Probrake levers, LSL brake fluid reservoir and the Acewell chrome speedometer the front end received the modern technology touch we were aiming for. Furthermore, the classic six-and-a-half-inch headlight emphasizes the front from all viewing angles. On the rear end of the bike we have been very restricted with frame modifications. Only minor changes could be done in order to register the Honda in Switzerland afterwards. Anyway, we managed to clean out the frame triangle completely. After the whole frame was de-tabbed, we customized an aftermarket seat cowl to our liking, fit and length. 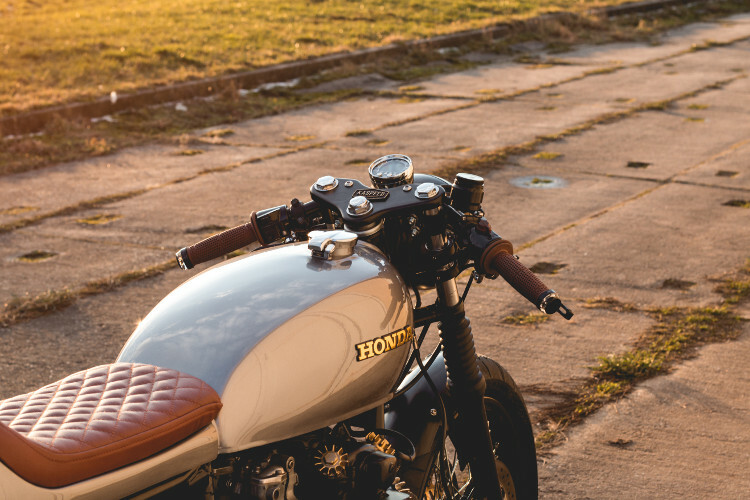 We also lifted the back of the gas tank by an inch and aligned the seat to it to create a perfectly straight and forward leaning lower tank line, which is a must have for a classic cafe motorcycle. The custom upholstery of the seat is a perfect match, including a beautiful diamond stitch pattern. Light brown genuine leather and a stitched logo were used by a local upholsterer. Matching the leather color are the brown rubber grips. 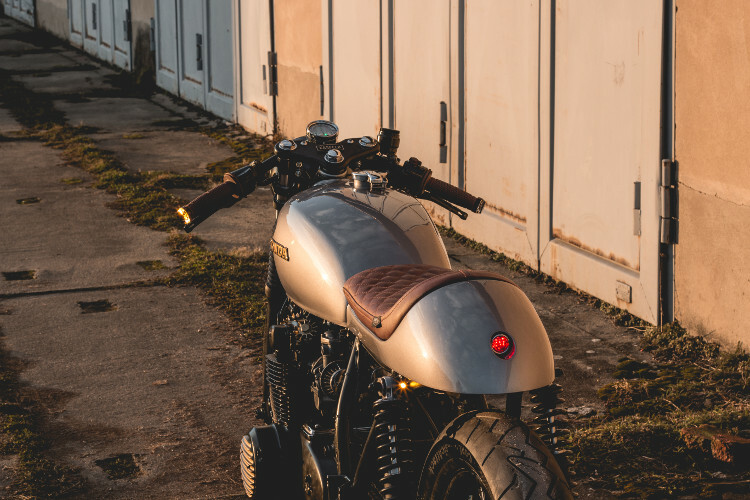 The rear end is finished off with a classic LED tail light integrated into the seat cowl for a super clean and unique style. In terms of color, we wanted to go with a very typical monochrome scheme to keep the paint simple, letting the shapes speak, while incorporating our customer’s wish to have some fine golden details. Just one of them is the new chain. The engine was painted black, while adding golden details on the side covers and valve caps. All other black parts and the frame were powder coated with a matte finish. 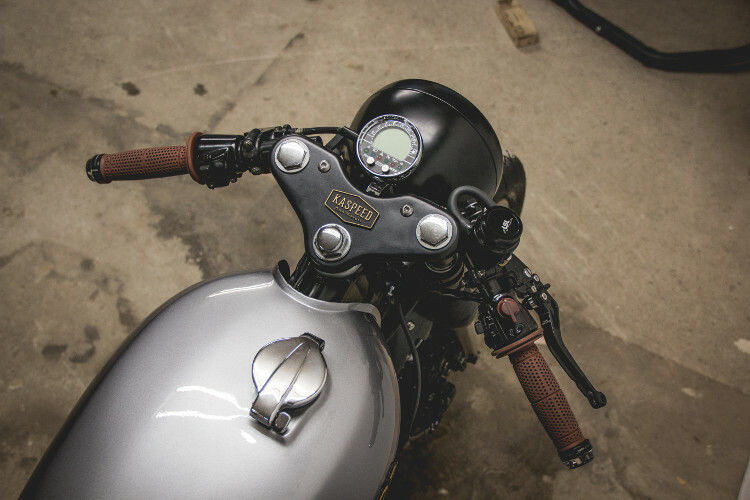 The gas tank and seat cowl received a stylish ‘Silver Tempest’ paint job taken from Bentleys color range. We do all the paint work professionally in-house, since I am a trained automotive refinisher. Aside from that, the gas tank features a gold-black Honda emblem. We added a 3D printed KASPEED logo badge in the cockpit, which perfectly links the classic cafe racer appearance of the bike with the modern technology which is available to bike builders these days. As we completely stripped the bike, we refurbished all worn parts and integrated the new electronic components. While we hid everything under the seat, the lightweight lithium-ion battery was located under the cowl. Motogadget m.blaze disc handlebar blinkers were installed for the front and Kellerman Atto Dark for the rear, which are arguably the smallest certified indicators on the market right now. The wheels were laced with new stainless spokes and got black rims for a stronger entrance. This look is also supported be the new Continental ClassicAttack tires, which are handmade in Germany for classic bikes and perfect handling capabilities. The four Keihin carbs have also been ultrasonic cleaned, restored, and re-jetted with the installed pod filter. These changes suit the new intake and exhaust setup to make the startup and running nice and smooth. Even the sound is quite impressive. Of course, the Honda is fully road-legal in Germany. With the delivery of the bike this week, everything is ready for the European spring, which is just around the corner these days. In fact, we already got a new Honda CB750 from the same customer, who wants us to customize it as well. Besides that, we have our very own project in the making. 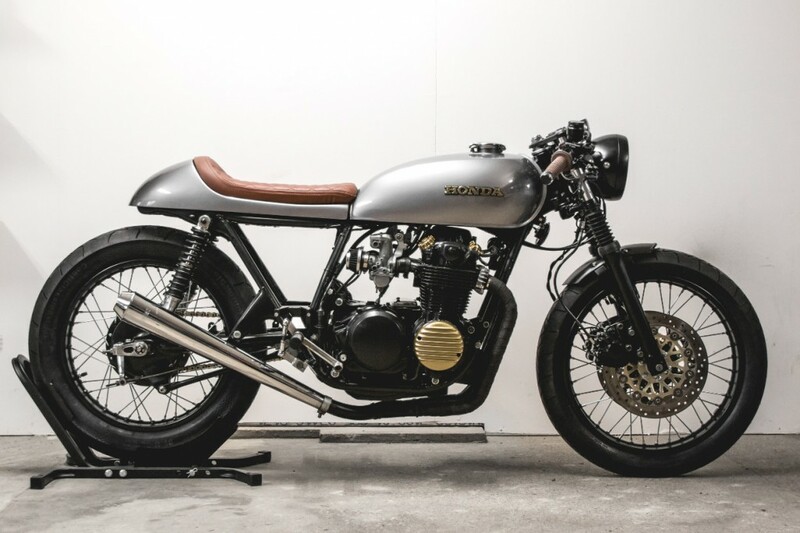 It will be a more modern approach to a cafe racer, based on a ’96 Honda CB Sevenfifty. We plan to produce this project in a very limited series, where we want to involve our future customers in some details. 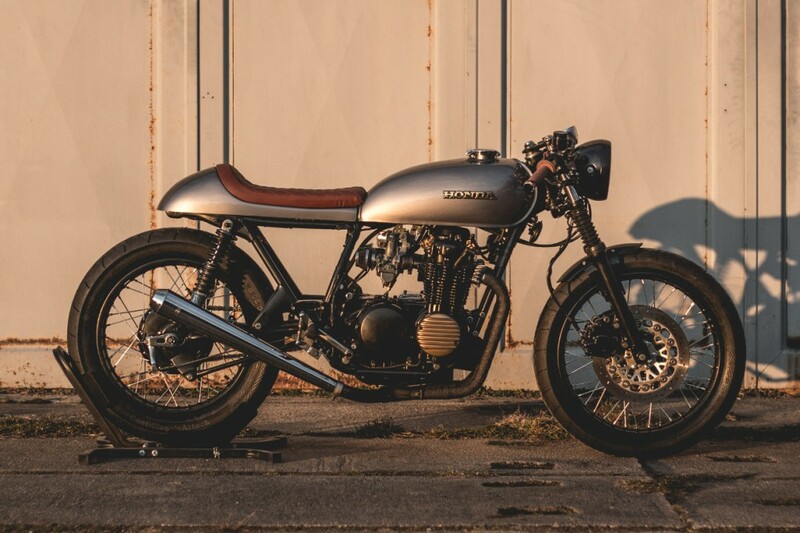 So, there will be more Honda builds coming from us later this year. Hi I`m from Switzerland and building a cb500 FOUR 74`at the moment. 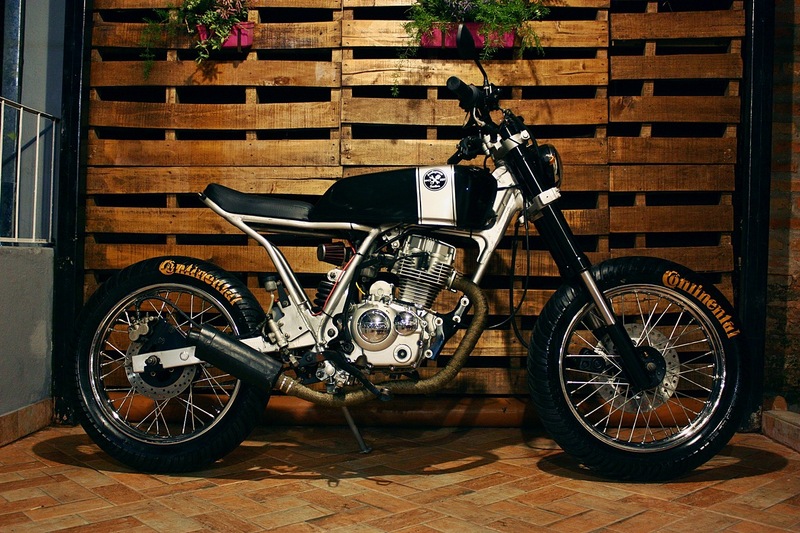 Does the original front wheel match with the cb400 fork and whats the name of those discs? Could you tell me which exhaust you guys are running because i couldn`t find a 4into1 that is legal over here and still is great looking. Would be nice if you could help me out.